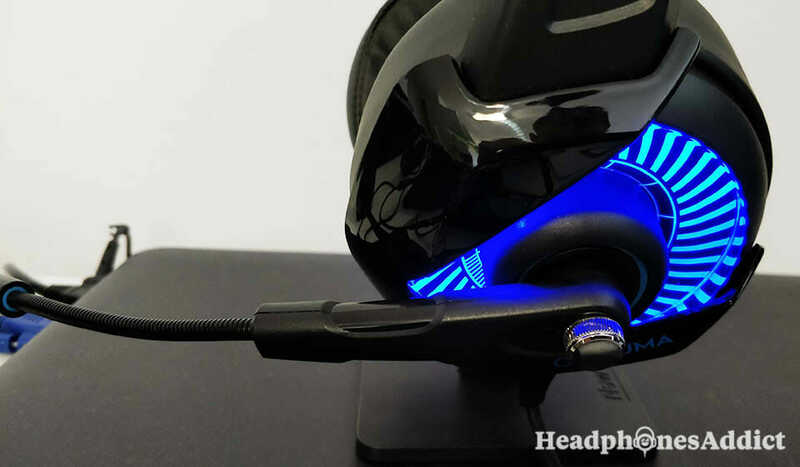 Onikuma K6 Review - Is the Cheap Gaming Headset Worth Your Money? What kind of a gaming headset can you get under $30 today? Onikuma K6 (also known as Onikuma II) is the newest model from this budget gaming brand. Priced at just under $30, these are one of the cheapest gaming headphones you can get. In spite of that, it’s a solid headset that just, well, works. If you’re looking for a great cheap gaming headset, this is one of them. While the Onikuma gaming headset comes with USB, it’s only for powering lights. 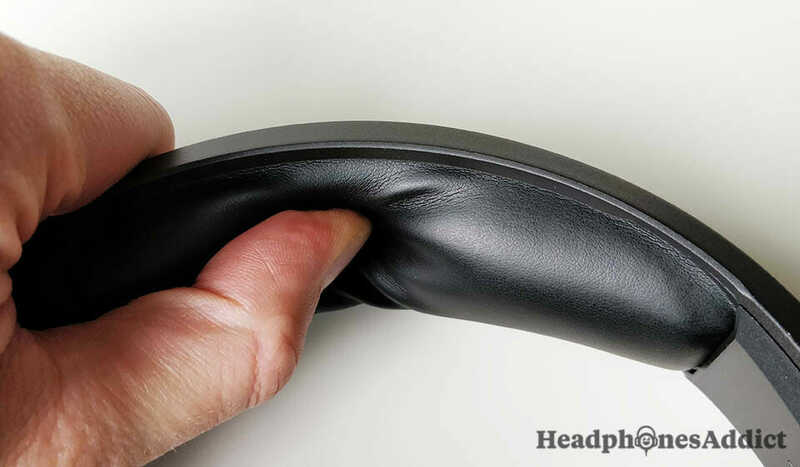 The first thing you’ll notice when taking the headset out of the box is its huge ear pads. These are bigger than on most gaming headsets. Just the sheer size of the pads, helps with long-term comfort. The padding is soft foam with faux leather cover for additional protection. The earpads are massive and thick. Now the headset is quite heavy at around (1lbs / 450g), but it doesn’t take away from a comfy experience. With extendable headband, it fits on bigger heads as well as smaller ones. The padding on the headband isn’t substantial but enough to protect from irritation of the head. Also, the earcups are big, and you’ll easily fit inside even “troll-like” ears. While the size is welcome for adults, it might be too sizeable for a younger gamer. The right and left sides are indicated on the inside of the headband. Honestly, it’s quite surprising how comfortable these headphones are because you don’t expect that for such a low price. In contrast, the only thing taking away from experience is the fact they get warm if worn for a long time. Now, this won’t be a problem for most people, but if you sweat profusely, this might not be the best headset for you. The headband comes with soft faux leather cushioning. As is usual for closed-back headphones they block a good amount of background noise. They don’t leak a lot of sound, so you can easily listen to loud music or play your games at higher volumes without bothering people around you. This is a great gaming headset for anyone who wants more privacy, either for playing games or watching movies. Additionally, the cable noise is not a problem as rubbing it doesn’t interfere with sound or microphone quality. Compared to higher-end gaming headsets it’s surprisingly well built. While the design isn’t as sophisticated and looks a bit rudimentary, it feels solid. The headband is flexible, and you can twist it with ease. It’s made of plastics with metal core for added strength. The microphone folds in steps and gives good resistance when doing so, inspiring confidence in its build. You can also shape the boom mic the way you want, and it stays that way. This is something higher-end brands could put on their headsets. The boom mic can be put in different positions. The cable is thick and covered with fabric and is at least as good as with any $100 gaming headset. The only thing that’s kind of annoying is the massive in-line remote. There are only 2 functions. Mute/unmute and volume control, but it’s so big you might think you get double the functions. It’s not weak or flimsy but it’s unusually big size becomes annoying when moving around or storing the braided cable. Overall, this budget gaming headset is well built and can compare to much more expensive sets. It’s hiding its low price really well. 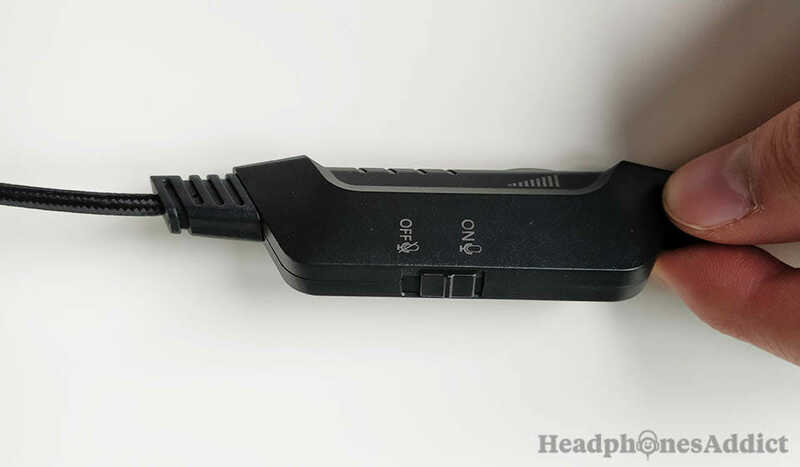 While you might think this gaming headset supports sound through USB as well, it doesn’t. The USB only powers the LED lights. It’s a bit disappointing, but hey, it’s a budget headset after all. LED lights are powered by the USB. The microphone feels and looks like it’s a part of a premium gaming setup. You can’t really tell this is a cheap product. It feels sturdy (like mentioned before), but it’s also flexible, and you can move it any position you like which helps with voice quality. You might expect the microphone to be bad, but that’s not the case. It works perfectly fine. We used it in a group call and asked everyone how the mic works, and we got no complaints. It’s clear and doesn’t interrupt. And after multiple hours of gaming (playing multi-player games like FPS and RTS), we had no disruptions. The uni-directional microphone works well but might be too sensitive for a loud environment. You can mute it with a switch on the in-line module, as well as adjust the volume, but can’t control microphone loudness. While the in-line remote control is big—definitely bigger than we’ve seen—you get used to it, and since you’re mostly stationary when playing games, it’s not too bothersome. A big control module with braided cable. The volume dial doesn’t have the best design, and it takes some getting used it. It’s pushed in the casing, so you need to apply extra pressure to get it moving. 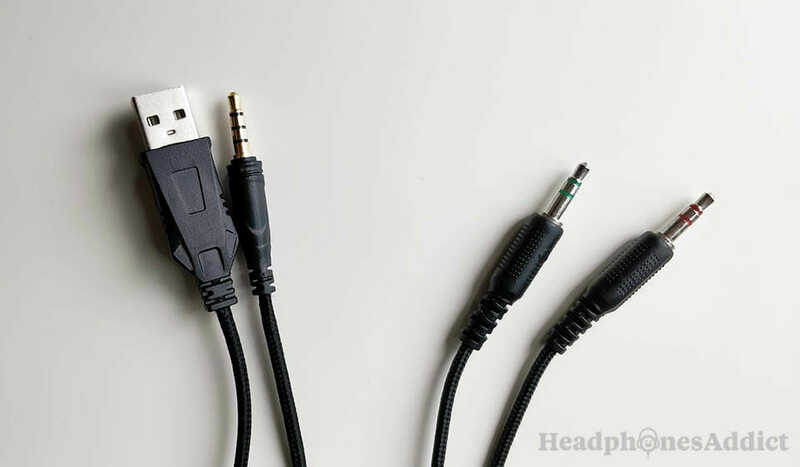 Moreover, the cable comes with a 3.5mm adapter (4-pin to double 3-pin) which makes it compatible with PC, Mac, PS4, Xbox One and any other gaming device that support 3.5mm AUX. It gives it broad compatibility across multiple devices. The audio quality is pretty good as well. Now, don’t expect high-end sound because you’re paying a little money. Overall, the sound signature is balanced, no range is overpowering the other, so they are suitable for all types of music, games, and movies. While the sound quality can’t compare to audiophile headphones, it’s good enough for a budget gaming headset. However, they say they have a 7.1 surround sound which is, in our opinion, just a marketing gimmick. 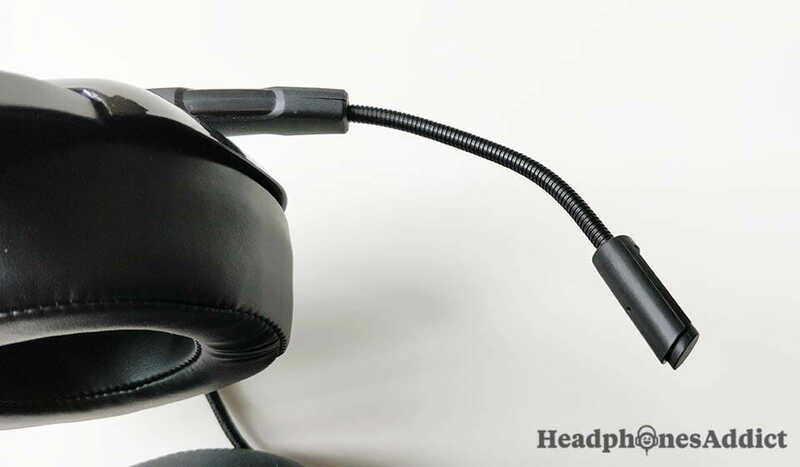 The headset doesn’t come with any kind of software—which is required for a virtual surround sound. They claim the headset has a stereo surround sound which makes no sense. A gaming headset can either be stereo or have surround sound. We think these are regular stereo headphones with a decent soundstage. 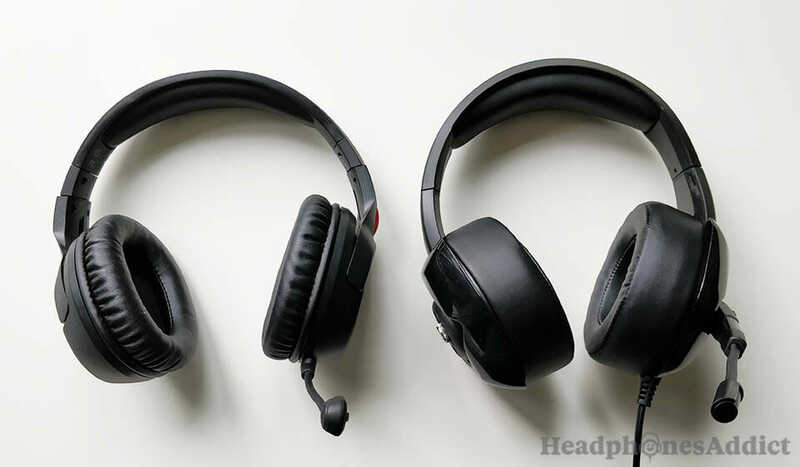 You can hear some of the 3D sounds and pinpoint where they are coming from, but there are better gaming headsets out there (though they cost more money). However, this doesn’t mean it’s a bad product because, honestly, you can’t expect real surround sound for less than $30. 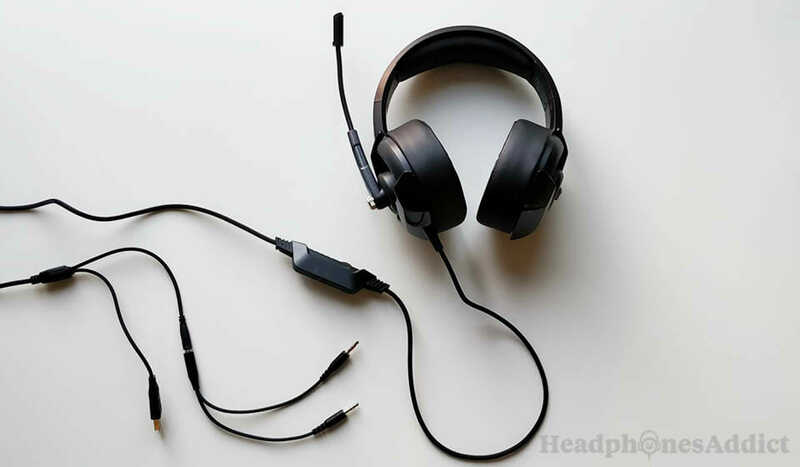 In the end, this is a great budget gaming headset that offers better than expected audio quality and you’ll be pleasantly surprised if you keep your expectations reasonably low. You can compare the size with HyperX Cloud Flight. Here is the HyperX Cloud Flight review. If you need a pair of cheap gaming headphones for yourself or your little ones, Onikuma K6 are a great choice. 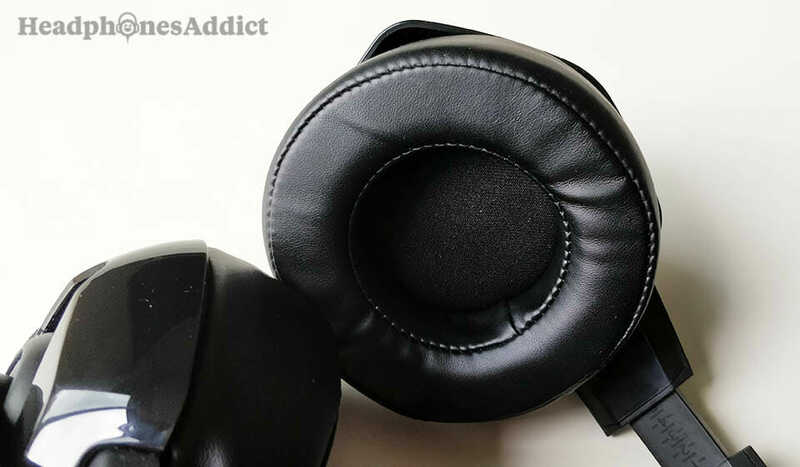 With solid durability, high comfort, dependable performance, and pleasant sound quality, all for a dirt-cheap price of less than $30, they’re a steal. Want a gaming headset but don’t want to spend too much money? Try this one, and you’ll see little money offers a lot more than expected. Do you want wireless? Here are the best wireless gaming headsets.